Group retailer promotions can help you find new readers. 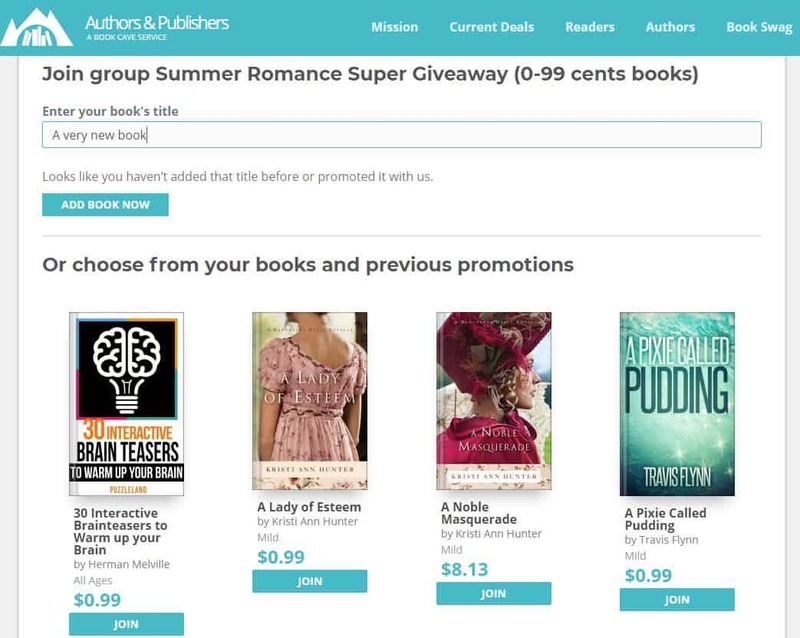 Better yet, joining a group promotion on Book Cave is easy—just follow the steps below. If your book isn't already listed on your My Books page, add your book. If your book is already on your dashboard, skip to the next step. To add the book, go to this link and choose "An ebook that is available for purchase at one or more of the following retailers" option, and then "I just want to see this book on My Book Ratings and on my Author Dashboard." Follow the rest of the prompts to add the book. Yes, your book must be available on a retailer to be in a retailer group promotion. You may not use a book that is only available as a magnet. Under the "Account" menu, click "My Retailer Groups." Click on the "Join" option. You will see a list of the available groups to join. (In the example there is only one.) Click on "Join this Group" to join your group retailer promotion of choice. On this page, you'll also see the URL of the group page and the dates of the group promotion. The information there will tell you what you should discount your book to and the dates you need to discount. From the list of books, click the "Join" button beneath the title you want to promote. You can also type the title in the "Enter your book's title" field to perform a quick search. If the book you want to promote has not yet been added to your dashboard, then the search will not find it. Simply click the "Add book now" button. Note that this button will display only after you perform a search. As you go through the tabs of the submission form, you'll be able to enter the price you are discounting your book to and the genre of your book. Keep in mind if you choose a price that isn't listed on the group information page that you will not be accepted for the promotion. Click the "Submit" button on the last tab of the submission form (the Review tab). The group information section will now show your book at the bottom, whether it has been approved or not, and a link to the invoice once the submission has been approved. You're all done! Look out for an approval email from Book Cave—your book must meet our regular submission guidelines to be accepted into a group promotion. 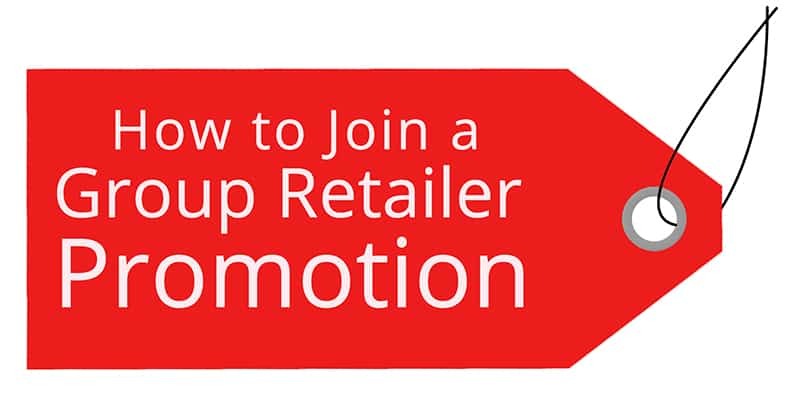 Let us know below if you have any questions about how to join a group retailer promotion. If you'd like to learn more about Book Cave author promotions, please enter your email below and click the "Learn More" button.